A heart health recipe is a recipe that, no surprise, is good for your heart! Eating food that’s good for your heart can make it easier for your heart to pump blood and nutrients to the rest of your body. Avoiding certain foods that make it harder for your heart to do its’ job can also help. What makes a recipe “heart healthy”? Low in sodium: Think about foods that are low in salt. You want to limit not only the salt shaker, but processed foods like ready to eat microwavable meals or canned soups. A low sodium diet usually limits the sodium that you get from food and beverages to 1,500-2,000 milligrams (mg) a day . Foods with more than 300 mg of sodium per serving may not fit into a reduced sodium meal plan. Low in saturated fat: You want to limit fats that are solid at room temperature, like animal fats (like bacon, ham hock, poultry skin, butter and lard) as well as vegetable shortening. You want to choose the low-fat version of dairy products like milk and cheese. Go for leaner meats, such as poultry and fish. 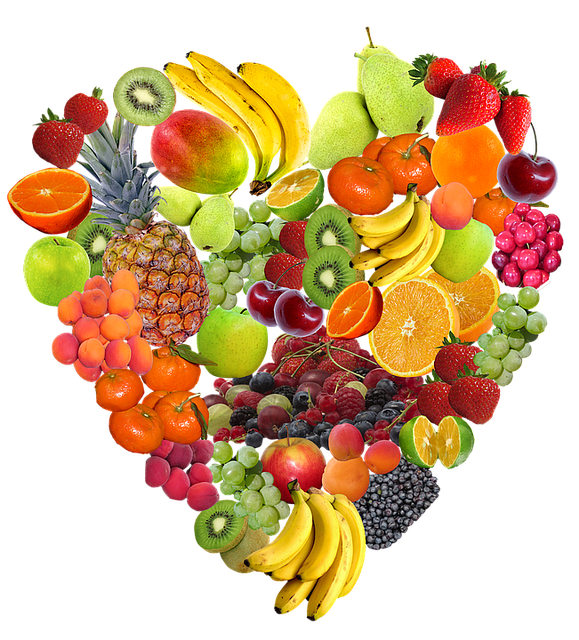 High in fruits and vegetables: Try to eat a variety of fruits and vegetables so you get as many nutrients as possible. High in fiber: Think whole wheat bread, brown rice, seeds, fruits, and vegetables. A recipe does not need to meet all of these criteria to be “heart healthy”. Making small, simple changes like choosing foods in any of these categories can be the first step towards a more heart-healthy diet. Need a few ideas? Here are some delicious, heart-healthy recipes! Find the following recipes and more here. What makes it heart healthy? This recipe uses low-fat mayonnaise instead of regular mayonnaise, which is higher in saturated fat. 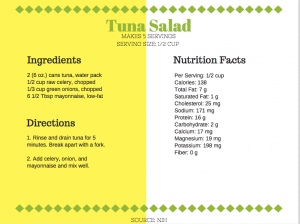 This recipe has 171 mg of sodium per serving. This is a great option because you want to aim for less than 300 mg of sodium per serving size. This recipe is full of heart-healthy vegetables! It’s a lower sodium option because it only has 253 mg of sodium. 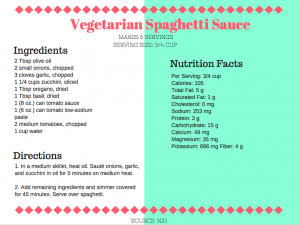 Remember that you want less than 300 mg per serving size, so you still have to include the sodium that could be in any pasta, garlic bread, or cheese added to this spaghetti dinner. 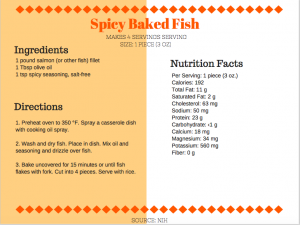 This recipe includes salmon, which is a low-fat fish option. It’s also low in sodium because it uses a salt-free spicy seasoning. This recipe is also a good source of potassium. Read about how potassium can help your blood pressure, and therefore your heart, in our previous blog!